This was one of the first dedicated Anzac memorials in New Zealand. As with most places in New Zealand, Tinui had a public Anzac Day service in the afternoon. 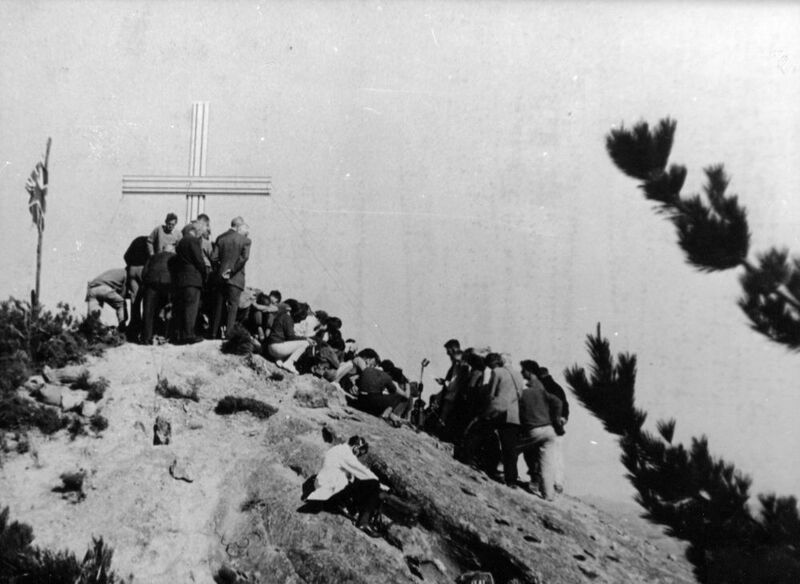 After four decades the cross was in poor condition and it was replaced on Anzac Day, 1965, by an aluminium cross. Tinui’s war memorial was unveiled on Anzac Day, 1924. Brigadier-General Herbert Hart performed the ceremony, with Rev. Ashcroft and MPs George Sykes and Alexander McLeod attending. Newspapers mention 34 names recorded but after being relocated in 1955, the memorial had 36 names (Riddiford and Tatham being the additions). 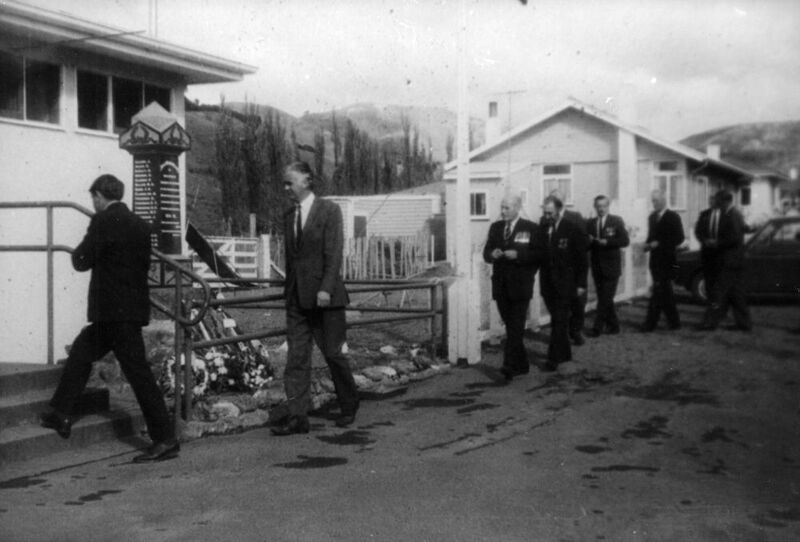 When the Tinui War Memorial Hall was opened in 1954 the community decided to move the World War One memorial to a position outside the hall. Panels inside the hall also recall the Tinui deaths from World War One, along with the 12 deaths from World War Two. In recent years the Tinui Anzac Day service has attracted large numbers, with many making the trek to the Anzac Cross on Mount Maunsell summit, overlooking Tinui village.